The war on drugs is being waged on many fronts by the local, state and federal governments. The targets range from the casual user of marijuana to the importers and producers of cocaine, heroin and methamphetamines. More Alabamians are in state prisons for drug-related offenses than for any other crime. Drug abuse” takes many forms. In today’s society, an escalating concern is opioid-based painkillers such as OxyContin and Hydrocodone. The Wall Street Journal ran a series of articles in 2012 regarding the addictive nature of these widely prescribed pharmaceuticals. Since that time there have been countless news reports that these painkillers have a significantly higher risk of addiction than previously anticipated. Ordinary citizens, unfortunately, turn to the street when they no longer have access to these drugs through legitimate sources such as a physician’s prescription. That will usually end with some type of criminal prosecution, or worse. Heroin, and the related overdose deaths, have returned with a vengeance. The possession of any opioid-based painkiller without a valid prescription, attempting to purchase painkillers without a valid prescription or attempting to purchase with a valid prescription not in your name, is a crime in the state of Alabama. Alabama also makes it a crime to deceptively obtain a prescription from a physician for the same or similar drug for which a patient already has a prescription from another physician. Crimes associated with prescription medications have potentially serious consequences and require serious representation. Possession of drug paraphernalia is a Class A misdemeanor, which means that a violator could be sentenced to jail for up to a year and fined not more than $6,000. The public generally thinks of drug paraphernalia as pipes, roach clips, vials, miniature spoons and the like. In reality, drug paraphernalia is anything that is used, or could be used, to manufacture, sell or induce a controlled substance into the human body. Depending on the type of drug paraphernalia — scales, mixing devices, baggies, etc. — the introduction of it in close proximity to marijuana may likely result in a more serious charge of possession of marijuana in the first degree, a Class C felony, rather than a misdemeanor possession charge. Alternative programs may be available for individuals charged with drug offenses. The availability of these programs can depend on such factors as the jurisdiction where the case is prosecuted, the crime charged and the criminal history of the defendant. Depending on the jurisdiction, deferred prosecution of drug-related offenses may be in a special drug court. The concept of deferred prosecution generally requires that the accused admit his guilt, waive his right to a trial and agree in advance to the imposition of a sentence should the defendant fail to satisfactorily complete the deferred prosecution program. Any fine and court costs are established upfront and must be timely paid. The program typically includes random drug and alcohol urinalysis, drug and alcohol schools and treatment, drug and alcohol counseling and community service. The length of time a defendant is required to stay in the deferred prosecution program can range from six to 12 months. During the time the defendant is in the deferred prosecution program, he or she must avoid any other offense. Upon a successful conclusion of the program, the case is dismissed. Deferred prosecution is not for everyone! Again, if you fail to complete the program, you have already pled guilty and a sentence has been imposed. You may go to jail. However, if the prosecution’s case is a good one, then deferred prosecution can offer a welcome alternative to a qualified defendant. Being charged with any drug offense is frightening. A conviction on a drug charge will follow you for the rest of your life. Even if you avoid jail time, a conviction can cause you to lose your employment or limit your future employment options. If you are being prosecuted for a drug crime, you need aggressive, knowledgeable and personal representation from an experienced lawyer. Drug-related or any criminal charge, whether you are young or old, is a serious matter and requires careful analysis of the facts and the applicable law. Informed decisions need to be made regarding whether to mount a defense in court or seek an alternative disposition through deferred prosecution. 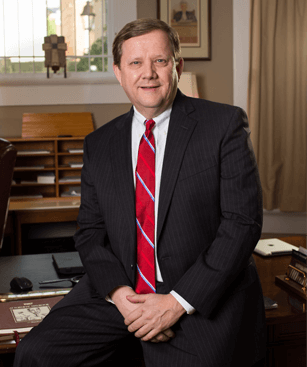 Learn more about the benefit of trusting your defense to an attorney experienced in helping the residents of Jefferson and Shelby counties with alleged drug offenses. Contact me at the Riley Law Firm in Birmingham, Alabama, online or by calling 205-212-5577.